Here are my two latest figures from the ‘Beyond the Gates of Antares’ range from Warlord Games. 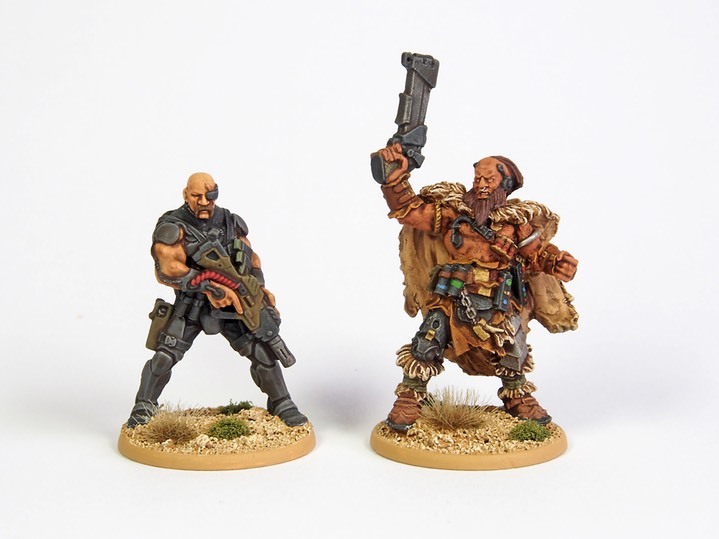 Hansa Nairoba and Bovan Tuk are a pair of mercenaries who fight for the ‘Freeborn’ faction. One, Hansa Nairoba (on the left of the photo), had a simple scheme, but required some tricky highlighting; whilst the other, Bovan Tuk, looked complicated, but simple to paint (other than the sheer number of paint shades needed!). There’s another photo here. Presumably, at some point, I’m going to have to paint up a Freeborn force to go with them. Oh, it’s a hard life being a wargamer!